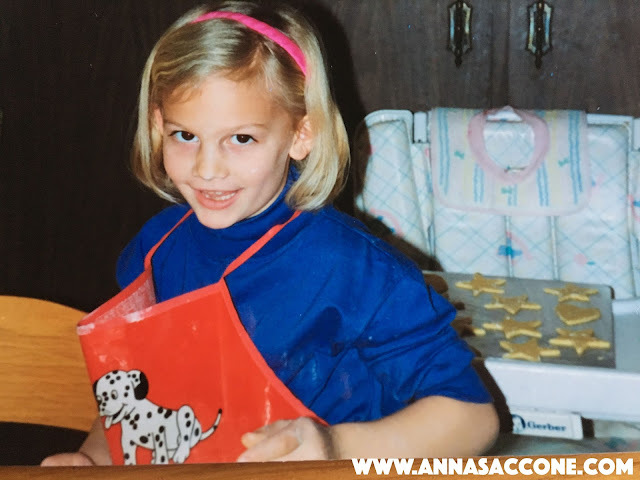 Here's another Christmas throwback from when I was little and baking gingerbread cookies! Note the perfect looking shapes behind me thanks to my mum being an expert at this kind of thing. I attempted the EXACT same recipe this week and totally failed :( Initially when I tried to roll out the dough it was too soft...upon closer inspection of the recipe it appeared you're supposed to leave it in the fridge for 4 hours. Oops! So we left it in there for four days...just to be sure (no actually I just forgot about it!). Then when we tried again after waiting that long the shapes still kept falling apart! Now I'm realising the only difference I made was using self-raising flour as we were out of plain...I'm going to assume that's what made them all fail?! I'm sure any expert bakers out there will let me know! Anyway we will try again this weekend :) In the meantime we can admire my mum's! Oooo little Eduardo!!!! So So much similar!!! What a beautiful photo!!!! To me you look EXACTLY like Eduardo! Gorgeous little baker Anna! Great post here you have created.